The pressure of being at state for the first time wasn’t too much for No. 3 Louisa-Muscatine here Wednesday. 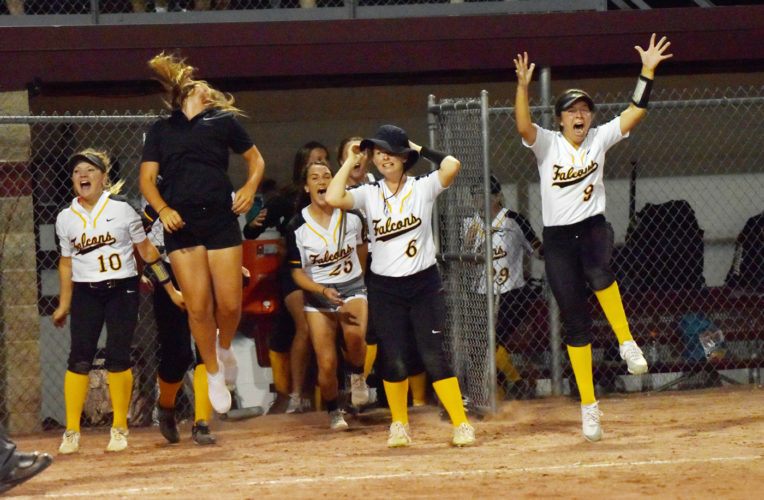 The Falcons relied on the pitching of Hailey Sanders, timely hits and a near-flawless defense to top sixth-ranked Central Springs and advance to the Class 2A finals. Louisa-Muscatine (37-6 overall) will face No. 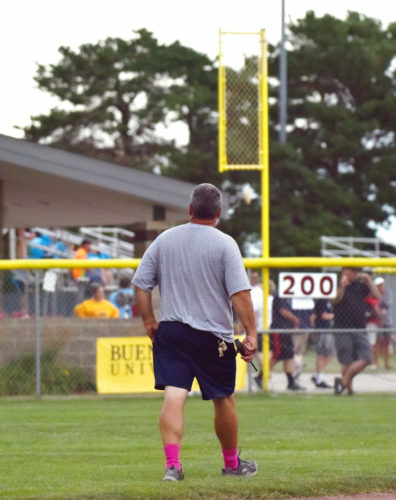 10 Iowa City Regina (25-15) Thursday night back on Buena Vista University Diamond at 8:15 p.m. for the crown. “It is just the craziest thing ever,” Mallory Hohenadel said. “We’ve been thinking about this since we were little and it was our goal this year, so to be going to the championship is the craziest thing ever. 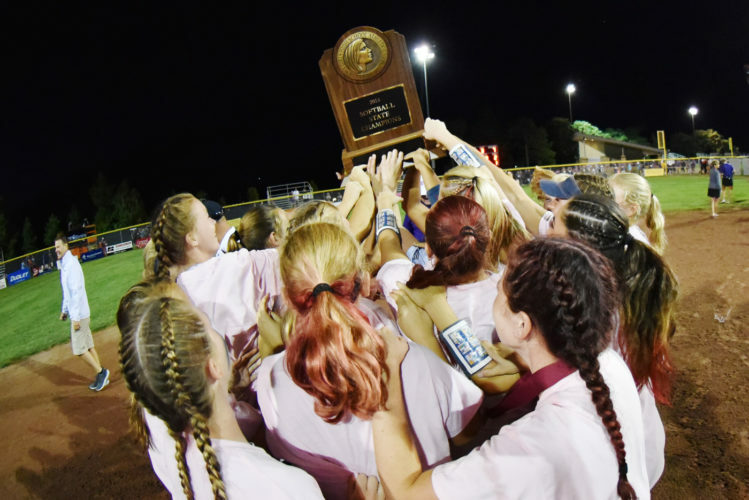 Sanders, one of three Falcon pitchers who have thrown at least 57 innings this year, took the ball and almost added her name to the list of no-hitters at the state tournament. The sophomore walked leadoff batter Kaylea Fessler before retiring the next 17 in a row. Central Springs (28-4) ended Sanders’ no-hit bid in the sixth, proceeding to cut the deficit to 2-1 before the ace shut the door. 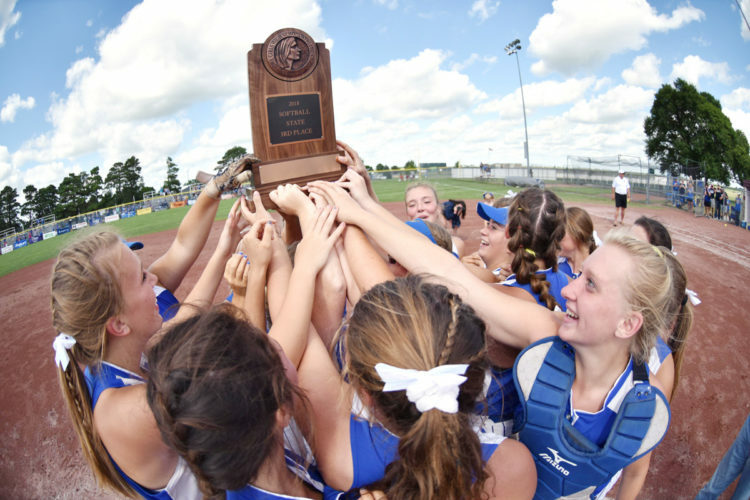 In the quarterfinals on Monday, junior Isabelle True set a new 2A record with 16 strikeouts. Sanders entered the week with just over 58 innings thrown, but averages almost two strikeouts per frame. Maddie Mashek had two hits and scored a run, Hohenadel drove in a run and both Katie Koppe and Hailey Sanders had a hit. Hohenadel, a junior, made the final out from her defensive position at first base. Louisa-Muscatine’s only loss to a 2A program came against No. 1 Durant, 5-2. 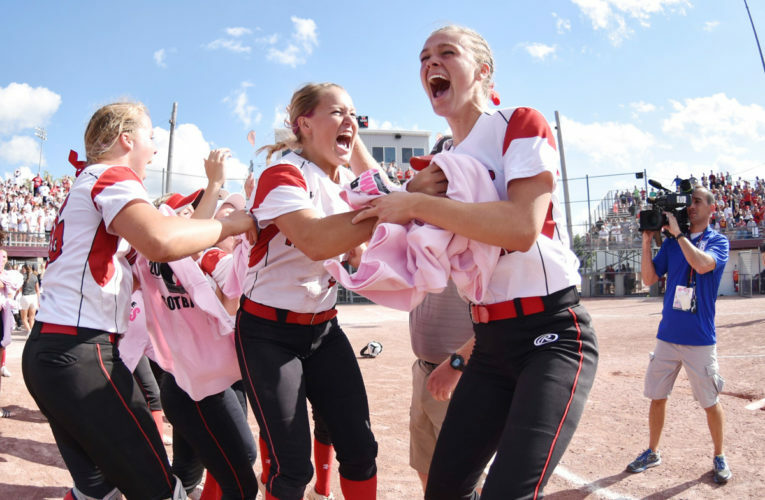 They also suffered a 4-2 defeat to 3A’s top-ranked Davenport Assumption, a state finalist and defending champion, and carry a 13-game win streak with them into the finals. Fessler scored a run and had one of the two hits for the Panthers, who will play fourth-ranked Des Moines Christian (23-7) on Thursday on Diamond 2 for third-place. 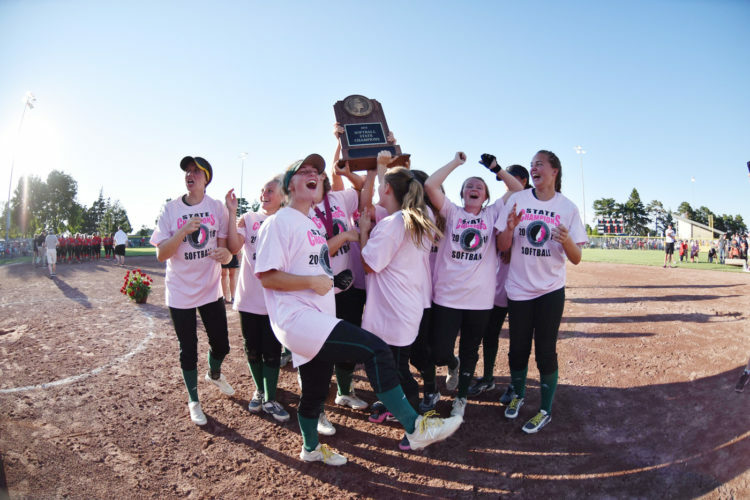 Central Springs, making its fourth appearance at state, had a 10-game win streak snapped. WP–Hailey Sanders (9-2, 7 IP, 2 H, 0 ER, 10 K, 2 BB); LP–Hannah Ausenhus (28-4, 6 IP, 6 H, 1 ER, 4 K, 3 BB).